 FM Approvals has been notified by Emerson Process Management of a potential safety concern involving FM Approved Rosemount 3051C/T/L, 2051, 2088 and 2090 Transmitters with HART 4-20mA output electronics manufactured from January 17 to February 1, 2012. 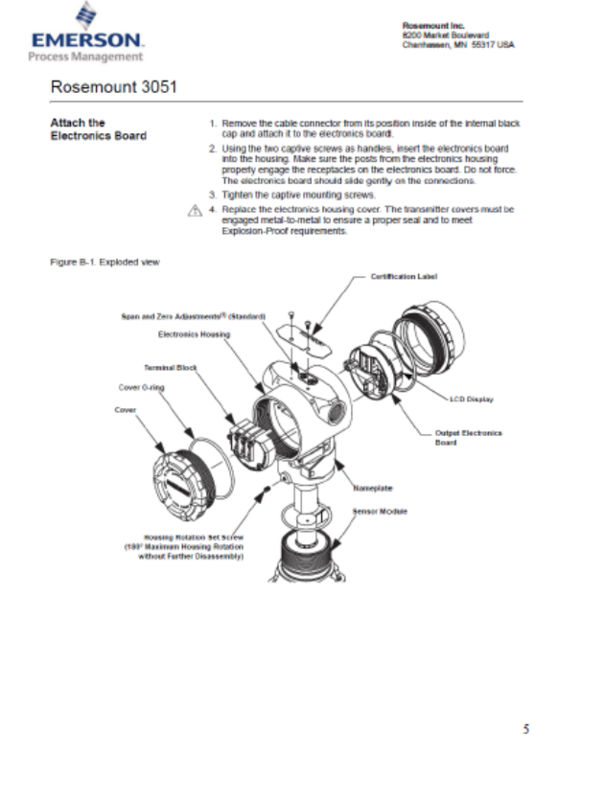 Product information is available on the internet at www.emersonprocess.com/rosemount. 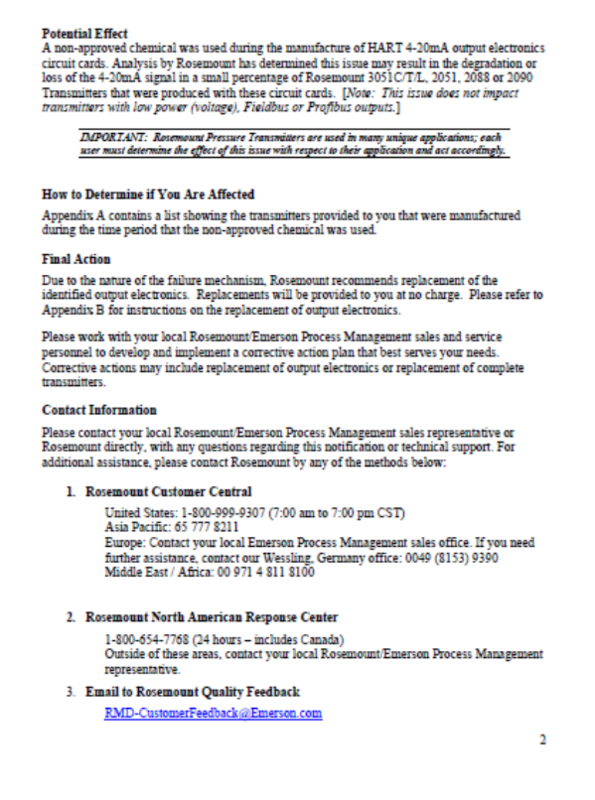 Outside of these areas, contact your local Rosemount/Emerson process Management representative. Rosemount 3051C/T/L, 2051, 2088 and 2090 Transmitters with HART 4- 20mA output electronics. 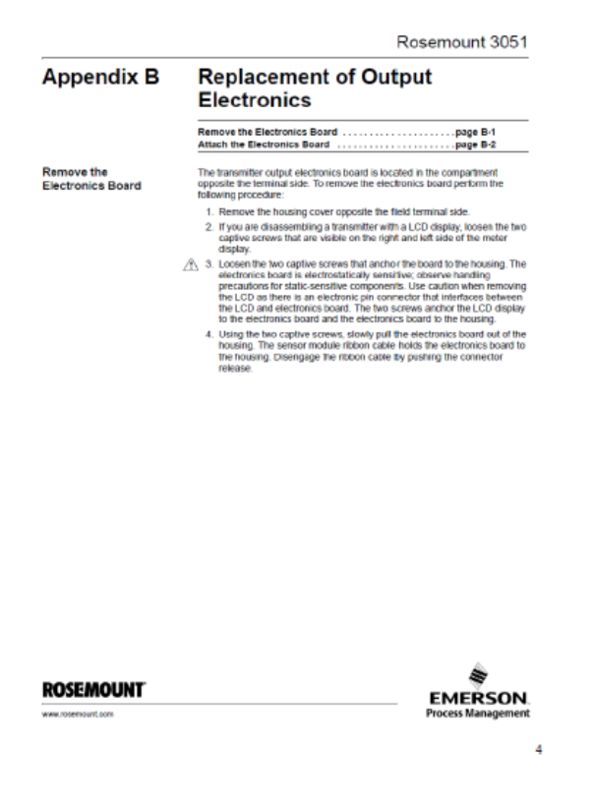 Rosemount Inc. has identified a potential safety concern affecting the reliability of Rosemount 3051C/T/L, 2051, 2088 and 2090 Transmitters with HART 4-20mA output electronics which were manufactured from January 17 to February 1, 2012. The potential safety concern was caused by the use of a non-approved chemical in the manufacture of circuit cards for these products at one of Rosemount’s supplier facilities. Rosemount’s quality monitoring processes identified this issue. As a direct result both production and shipping were immediately stopped as soon as the issue was identified. Rosemount 3051C/T/L, 2051, 2088 and 2090 Transmitters with HART 4-20mA output electronics. 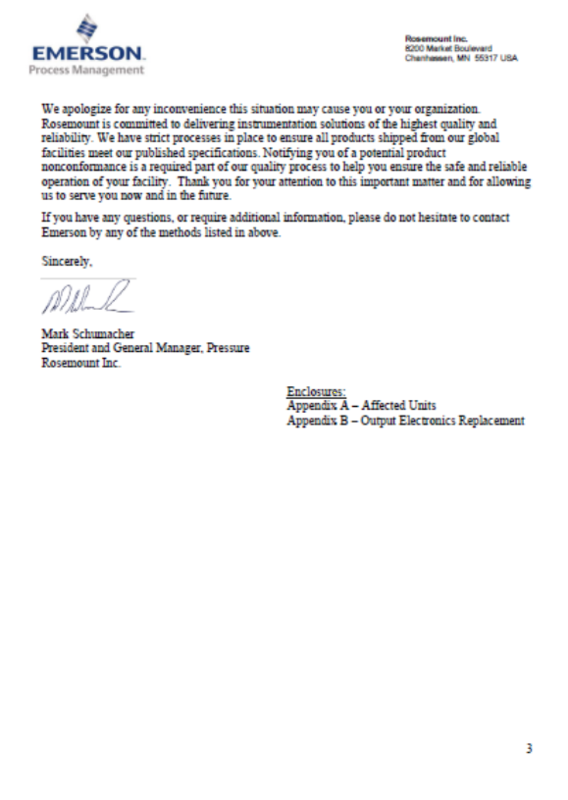 Rosemount Tank radar has issued the attached Product Safety Notification regarding FM Approved Rosemount 3051C/T/L, 2051, 2088 and 2090 Transmitters with HART 4-20mA output electronics manufactured from January 17 to February 1, 2012. 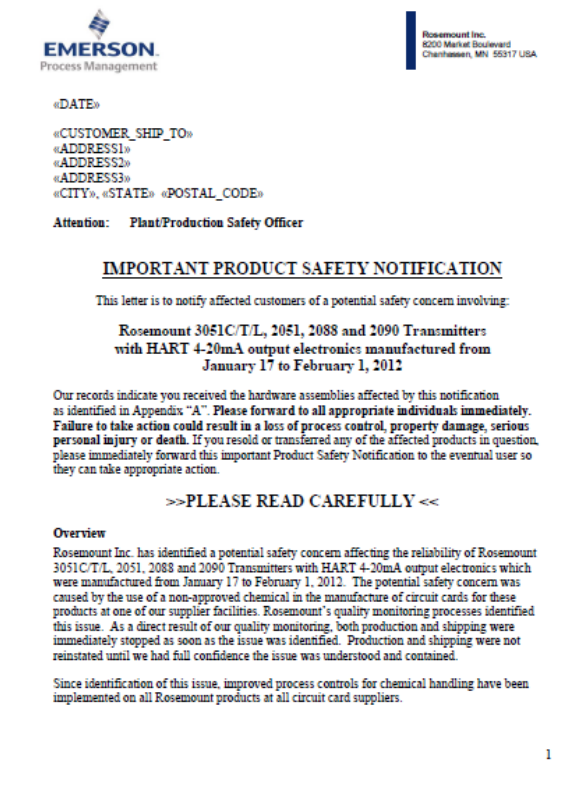 The notification was sent to all customers who have units covered under this Product Safety Notification.